There isn’t a negative comment that Michael Bay hasn’t heard. One of the most critically despised and commercially successful filmmakers in history, he has become a lightning rod for the sorry state of modern Hollywood. Many critics are bitter because his movies render them utterly useless. 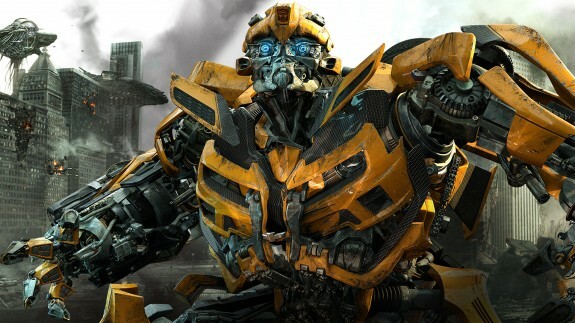 Transformers: Revenge of the Fallen was one of the worst reviewed films in years and also one of the highest grossing. He injects levels of mind-numbing shock and awe into almost every scene that isn’t establishing the almost non-existent plot in almost all of the movies and Transformers: Dark of the Moon is no exception. Bay knows how to do action, so the biggest criticism that can be made of the Transformers films is that they hinder him from doing what he’s good at. There are some fine set pieces in this film, including a Decepticon (evil robot) that winds like a snake in and out of streets and, most impressively, through a building. The problem is, like many of the other fight scenes, Bay goes so absolutely insane within a single frame that it obstructs the viewer from actually seeing what’s going on. This movie is most successful when he isn’t throwing everything at us all at once, but instead letting Optimus Prime and the other robots in disguise have a shot all to themselves without flying debris and fire. These robots come from a famous Hasbro toy line that were always waiting for the big studio treatment. Bay and executive producer Steven Spielberg give that to them, with all of the hallow, mind-numbing territory it brings with it. Again we’re given the illusion that people matter in a franchise about robots, with Shia LaBeouf reprising his role as Sam Witwicky, the lame teenager who gets to save the world every couple of years. In place of Megan Fox we get underwear model Rosie Huntington-Whiteley as Carly, the love interest/damsel in distress. Bay fondles her with the camera like she’s one of the vintage automobiles in the collection where she works. I guess “car” is right in her name. The ongoing war between Bay and his critical detractors has somewhat fervent support from those who fight for their right to enjoy high budget, mediocre exploitation. These movies are made specifically for people who think explosions and cleavage are what make a movie good, but buried beneath the hood is an ugly moral facade. Bay uses explosion after explosion to drive our attention elsewhere after he gets a few money shots of his babe. As the Autobots and the Decepticons clash on the streets of Chicago in the film’s final third, Bay lets loose all of his action wrath on the citizens. Watching robots mow them down is grotesque, and just because there is no blood this movie receives a PG-13 rating. Showing no regard for human life and the costs of it should be one of the few concerns of a rating board if they need to exist. They’re just looking for penetration, which if they’d watch the warring bots they’d see plenty of. Besides some interesting set pieces and a well-done opening sequence that rewrites the meaning of the moon landing, the other highlights here are cameos from John Malkovich and John Turturro. Frances McDormand also shows up as the head of some important intelligence agency, but her lines are terribly written just like almost all of Ehren Kruger’s script. These three excellent performers are here for the money, which brings to light the biggest, most disgusting point of all: everyone here is. This entry was posted in Reviews and tagged Exploitation films, Frances McDormand, John Malkovich, Michael Bay, Pierce Brosnan, Sexism in movies, Shia LaBeouf, Steven Spielberg, Transformers, transformers 3, Transformers: Dark of the Moon, Worst movie franchises, Worst movies of 2011 by matterspamer. Bookmark the permalink. Fully agree. This movie was just short of a crime against humanity.